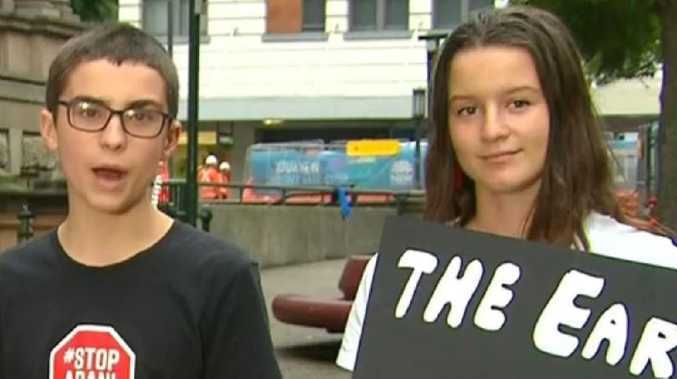 FIRED-up school kids have taken to the Today show to fire back at pollies who questioned a mass school walkout today. 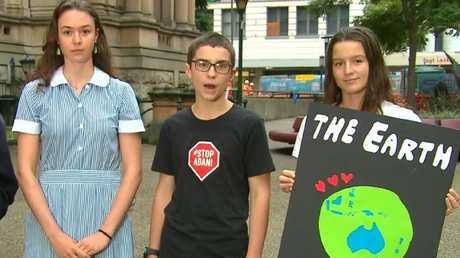 Their appearance comes as tens of thousands of Australian students are set to walk out of their classes to call for more action on climate change this morning. 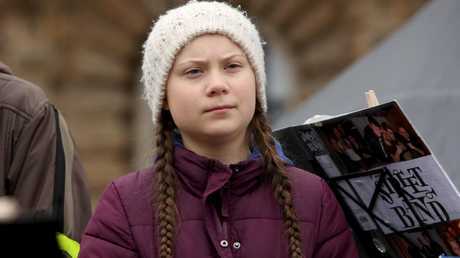 The countrywide mass protest comes months after students first turned their backs on the classroom in the name of climate action, a move condemned by the prime minister. During that protest Scott Morrison told parliament: "We do not support our schools being turned into parliaments. … What we want is more learning in schools and less activism in schools. "We are committed to all of these things (emissions reduction fund and the renewable energy target), but I will tell you what we are also committed to - kids should go to school." Defence Minister Christopher Pyne echoed his message this morning, telling the Today show kids should be "in school learning about education and getting ahead, gaining knowledge" today. "If they want to do strike action or political activism, they should do it outside school hours," he said. "So I'm not quite sure why they think that it is a good idea. Obviously the government is acting on climate change. Climate change is inevitable." However, that did not sit right with a group of children who lashed out at the criticism during an interview on the Today show this morning. "Unfortunately, our generation has a stereotype that we are lazy and don't want to work for ourselves, but I think this action today directly disproves that. We are fired up. We care about this issue, and so we are going to take to the streets." 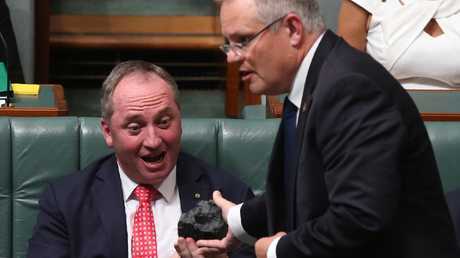 Ambrose Hayes said Australia was at the forefront of a climate crisis. "We have droughts, floods, bushfires and heatwaves and many more impacts because of climate change," she said. "And, if we don't do something about this, these impacts will continue to intensify, and we will reach a tipping point that we won't be able to recover from." The Australian students are taking part in a day of global action with more than 90 countries participating. The students have also found support from universities, unions, students groups, parents, the Greens and NSW Opposition Leader Michael Daley. Victorian high school student Milou Albrecht was central to organising the strikes and says she will be taking to the streets out of fear of not having a safe future. "We don't want to strike," the 14-year-old told AAP. "We love learning, that's important for them to know." The students have three demands: stop the Adani coal mine in central Queensland, no new coal or gas and 100 per cent renewables by 2030. Alongside the protest, the Greens today announced a $2.2 billion household battery storage policy, which would provide up to $7000 of incentives per battery. Small businesses could also get loans of up to $15,000 to help install battery storage. Greens Senator Nick McKim says the students should get a "giant pat on the back". 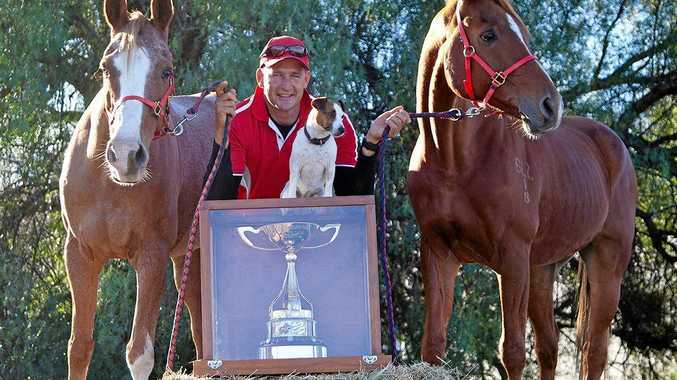 "Their future is being stolen from them in brazen daylight robbery by the major political parties," he told Sky News. "(They are) saying to those of us currently in power: enough is enough, pull your fingers out and get serious about climate change." More than 800 academics have also signed an open letter in solidarity with the striking students, with some even set to join in on protests today. Milou and her friend Harriet O'Shea Carre were inspired by Swedish teen Greta Thunberg who has been striking for climate action since last August. Harriet hopes the prime minister calls a climate emergency and says she will feel terrible if he again condemns their actions. "It's totally unfair considering they have been representing (voters) with the expectations they will do what's in the best interests of the country," she said. "They are letting us down every single day they don't do that."